My name is Michael and I am the creator of MOX NEWS on youtube. I have published more than 60,000 news and politics videos on youtube over the last 14 years. Every video hand selected by ME to assure their worthiness of your most valuable commodity Your Time! Each one present in my own unique style. I have covered the last 4 U.S. Presidential Elections on youtube. And it has been an honor and a pleasure serving the World and this wonderful online community in this way. Providing "a never ending stream of bits of knowledge", meant to raise the awareness of the viewers and to start thought provoking conversations about how we got here and what our next move should be to correct our movement towards a better tomorrow! And the 2020 U.S. Presidential Race is going to more CRAZY than the 2016 race! FOR SURE! Everyday I see comments on my posts that say "I NEVER WOULD HAVE SEEN THIS WERE IT NOT FOR MOX NEWS"! I also often see comments saying "THIS IS THE BEST VIDEO ON YOUTUBE"
And I ask Everyone to Please go and look at my current youtube MOX NEWS Archive of more than 7,500 videos so You can understand what kind of loss this community will suffer without MOX NEWS daily posts. I would Very Much like to continue providing this exemplary service to the online World. But MOX NEWS has always been and will always be completely AD FREE which means MOX NEWS survives solely on Tips and Donations from kind intelligent people SEEKING KNOWLEDGE. Because MOX NEWS doesn't offer FACE PLANT videos. MOX NEWS provides "a never ending stream of bits of knowledge". Which is why people wind up at MOX NEWS because THEY WERE SEEKING KNOWLEDGE and MOX NEWS was there to provide it. Like is says on my MOX NEWS business card "KNOWLEDGE IS FREE" but lunch cost money! And so does cable and internet and pretty much everything in this society which is why MOX NEWS NEEDS YOUR HELP. Otherwise I would not ask. But what I do I do well and MOX NEWS can only continue with the support of it's community. I hope You can see the value of the service I provide and understand MOX NEWS is NOT some NEW NEVER HEARD OF BEFORE entity! 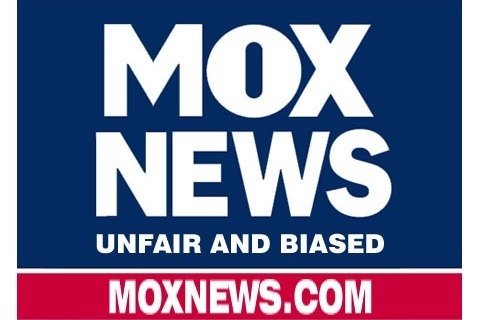 MOX NEWS has been posting BREAKING News and Politics for more than 14 years on youtube! As long as there has been a youtube MOX NEWS HAS BEEN POSTING VIDEOS ON IT. So I Hope YOU would like to help me continue doing my own independent style of Journalism which has opened many eyes and which Cherishes Freedom First and Foremost! Which is why YOUR Voice is NEVER CENSORED at MOX NEWS because YOUR Voice IS and ALWAYS will be the ONE that Matters MOST! So PLEASE help MOX NEWS Stay Strong through the 2020 President Election and BEYOND! I Thank You ALL!